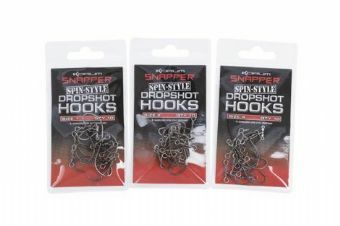 The strongest Dropshot hooks you’ll ever use.These ultra-sharp straight-pointed hooks have a swept curve to make hooking fish easier than ever before. The built in swivelling attachment means you don’t need to know any special knots to use them Dropshotting. 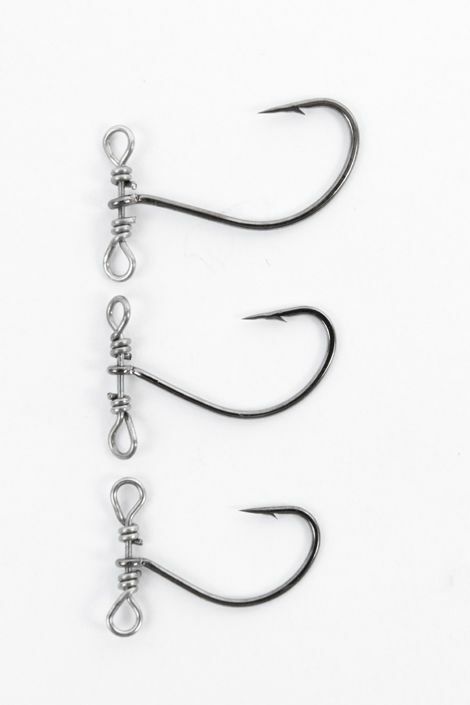 Simply tie to your mono or fluorocarbon leader to the swivel eyes and you’re fishing. It’s Dropshotting Made Easy!